Karol Wojtyla (b. 1920 in Poland; d. 2005 in the Vatican) was a poet, dramatist, actor, priest, archbishop, cardinal, philosopher, university professor; in 1978 he was elected Pope John Paul II in the Vatican—the first non-Italian pope in 500 years and the first ever Polish pope. Wojtyla worked briefly as an actor (1941-42) at Rhapsodic Theatre (Theatre of the Word) in Kraków. In a sense, his acting career continued, when the Vatican published a 1999 CD and video, Abba Pater, in which John Paul II recites and sings his poems. Wojtyla’s youthful dramas Job and Jeremiah were based on biblical motifs, whereas Brother of Our God (1950) dealt with dilemmas of moving from the service of art to the service of God. His later works are In Front of the Shop of the Jeweler(1960) and The Radiation of Fatherhood (1964). The characteristic features of Wojtyla’s philosophical dramaturgy are dominance of the word as the carrier of meanings; gradual divergence from realism and psychologism to “internal spaces” in the form of “theatrical essays”; the hieratic character and the reduction of space given to externals in accordance with Wojtyla‘s ideas: “drama of the word and the gesture; the rhapsodic “theatre of the living word; philosophical (ethical) issues regarding the relation between the subjectivity of Man and the Absolute. International interest in Wojtyla’s dramas increased considerably after his nomination. In Front of the Shop of Jeweler premiered in London in 1979, and feature films were made by Michael Anderson and Kryzysztof Zanussi. His is an unusual biography. He was born in 1920 in Wadowice, a small foothill town in southern Poland. He died in 2005 in the Vatican, world capital of the Roman Catholic Church. His name was Karol Wojtyla, and he became John Paul II. From his early youth he was a poet and a sportsman, and he kept at these pursuits intermittently throughout his life. He studied Polish philology and theology at the Jagiellonian University in Kraków, and worked in quarries. At 21 years of age, he was a co-founder of an innovative theatre, where he also became an actor. He gave up this profession to become a priest. He rose rapidly in the church hierarchy to bishop, archbishop, and finally to cardinal. In Poland, he was among the highest moral and intellectual authorities; in the Vatican, he belonged to the elite of theorists and reformers of the worldwide Roman Catholic Church. Pivotal in the Wojtyla‘s biography is the year 1978, when he was the Polish cardinal Karol Wojtyla, and was elected Pope in the Vatican. For the preceding 500 years, the Pope had been an Italian. As John Paul II, he was the first Polish pope in history. His pontificate lasted nearly twenty-seven years, during which time he became, and remained, an extraordinary authority on a global scale, a moral as well as a religious authority—and remarkably, this was so among Catholics and non-Catholics alike. His career as a clergyman overshadows his other achievements, which occupied him from his early youth into adulthood. During those years, Wojtyla was first and foremost a literary scientist. He did his PhD and rigorous, extended post-doctoral habilitation; he became a full university professor in philosophy and theology. He gave lectures, published essays, tracts and scientific monographs. At the same time, he continued to write dramas. In these plays, the originality of form and the philosophically deep plots hold together perfectly over a wide range of issues. Wojtyla was a publishing poet from 1950 to 2003. He owed both the form and the content of his poetry to the great traditions of Europe—firstly to the Renaissance, later to Romanticism, particularly to the Polish version of Romantic mysticism and metaphysics. He was fascinated with the works of the Spanish mystics from the 16th century, especially St. John of the Cross, to whom he also devoted several large works. And it was the combination of these two traditions that gave shape to Wojtyla’s poems, to the aesthetics and issues of his poetry—poetry that was philosophically visionary, mystical and metaphysical. Wojtyla was briefly an actor (1941-42), and even though his contact with this profession was youthful and fleeting, it had a significant impact on his mature literary creations, in particular on the shape of his dramas. 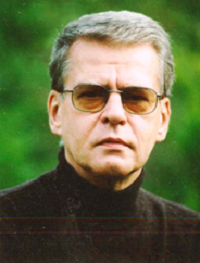 Young Wojtyla‘s mentor in the drama was Mieczyslaw Kotlarczyk, the director and author of a very original, avant-garde performance format. In 1941, Kotlarczyk, with the participation of Wojtyla, founded a theatre and named it after their aesthetic program: Rhapsodic Theatre. At first, this may seem like a misnomer; after all, literary theory regarding genres places the “rhapsody” among the epic genres, not the drama. However, even more precisely, a rhapsody may be either an epic poetic work, usually eulogizing a landmark historical event, or a fragment of a classical Greek epopee. And this is exactly what Kotlarczyk was after with his Rhapsodic Theatre. He practiced an original form of declamatory-dramatic performance, where the word of the poet, through the interpretation of the actor, was the crux of the theatrical material. This was, in other words, true Theatre of the Word. In his “theatre of the word,“ Kotlarczyk sought to stage not simply dramas but a poetry of Poland and the world. 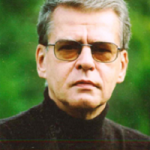 The repertoire of the Rhapsodic Theatre will give some idea of its theatrical conventions: Kotlarczyk drew up scenarios from non-dramatic literary works such as Eugene Onegin, by Pushkin; LordJim, by Conrad; The Odyssey, by Homer; Orlando Furioso, by Tasso; Kalevala; as well as poems of the Polish Romantic poets. Kotlarczyk called this concentration on the word and the actor “the house of the word and the school of the language.” This work stimulated the development of a modern school of recitation, a poetry scene, one-man theatre and forms of little theatre in Poland. When Karol Wojtyla acted on stage, it was exactly in accordance with the aesthetic of the Rhapsodic Theatre: he concentrated on the poetic transmission of the word, and his acting extended between the stage figure he created and the epic tale of rhapsody. In the incredibly rich artistic, intellectual and spiritual life of Karol Wojtyla, acting may seem to have been a mere episode. However, youthful though this practise was, it marked an enduring, diverse connection with the theatrical art. Wojtyla was involved with the theatre for many decades as a critic, essayist, philosopher-theoretician, and above all, as a dramatist. And then once again, in the twilight of his life, the elderly Pope John Paul II returned to acting. Active acting par excellence. In 1999, the Vatican published a compact disc and video cassette entitled AbbaPater, on which John Paul II recites and sings his poems. Never before in the history of music publishing had there been the participation of a Pope! Take note: only 200 or 250 years earlier, Catholic priests in Europe had objected to burying actors on consecrated land. On the eve of the 21st century, a poetic-musical record was published by an actor-Pope. Karol Wojtyla came to the profession of playwriting extensively well-prepared. He was a complete original in the field, entirely separate from the world of contemporary theatre. Separate, that is, in terms of the categories of his literary and histrionic aesthetics, and in his thinking, which are to be found in five full-length plays. They are enough. When read in chronological order, it becomes apparent that they constitute an artistic work in a process of permanent development. It is growing and crystallizing, both in terms of the categories one can adopt to encompass his literary and dramatic conventions, and of intellectual reserves. As the titles suggest, Wojtyla’s Job and Jeremiah were based on biblical motifs. In terms of form, they anticipate the dominance of the word as a future convention of the rhapsodic theatre. In terms of narrative, they touch on situations that border on the existential, while at the same time initiating his visionary philosophy, which was to become Wojtyla’s field of investigation in Christian thought: the essence of humanity and the relation of the individual with the Absolute. The Brother of Our God, written in 1950, has an extended plot. The title character is a historical figure, Adam Chmielowski, a well-known Polish painter from the second half of the 19th century, who left his artistic career to become a monk. Chimielowski established a religious congregation, where he—by then known as Brother Albert—ran a shelter for the homeless. The play tells the authentic history of the painter Adam’s transformation into Brother Albert, or more precisely, into The Brother of Our God. At the deeper, metaphorical layer of the drama, Wojtyla builds a philosophical, existential story on motifs from the biography of the main character: the dilemma of passing from “in the service of art” to “in the service of God” and the poor. In Wojtyla’s later plays, the share of the plot that takes place in the external world is more and more reduced. In Front of the Shop of the Jeweler (1960) has a subtitle which describes not only the issues raised, but also the dramatic aesthetic assumed by the author: A Meditation on the Sacrament of Marriage Which at Times Verges on the Drama. 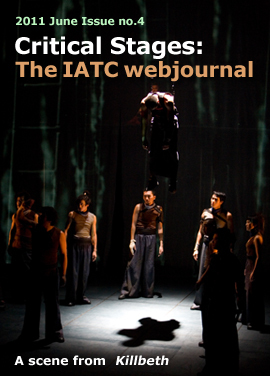 And it is exactly that: a philosophical meditation that the author articulates in the language of drama and the theatre. The plot is a pretext for the philosophy, and very straightforward: a couple in love meets in front of the shop of the Jeweler of the title, to buy wedding rings. Immensely more important is the internal action, the world of the characters‘ thoughts and feelings unbuttoned between two indispensable foundations of humanity: carnality and spirituality. In this meditation which at times verges on the drama, married love manifests itself as the path which leads human beings toward God. Love is the hope, but also painful in the ways of its disappointments; the love of spouses is the deepest, most intimate bond: hallowed carnality with the sacrament. And in this triangle of dramatic characters, the Jeweler of the title becomes a metaphor for a protective God—a “jeweler” on humanity’s road towards excellence and fulfilment. And finally, Wojtyla‘s last drama, The Radiation of Fatherhood (1964), has the short but meaningful subtitle: A Mystery. The title does much more than simply determine a literary form and a theatrical convention: it is a reference to the great European tradition of the medieval Christian drama, to its shape and internal meanings. The Radiation of Fatherhood is a strictly metaphysical drama. It focuses on issues of the subjectivity of the individual, the feeling of love and the secret of divinity. Man as a subjective individual finds fulfilment in his “here and now” through parenthood. Fatherhood is a man’s fulfilment, and simultaneously “filial” man’s fulfilment is his connection to God the Father. And as the subtitle mystery points out, the “drama“ here is an issue of the character: returning to the father throughthe child. The gradual divergence—through Job and Jeremiah to Brother of Our God— from realism and psychologism to “internal spaces” in what might be called “theatrical essays,” such as In Front of the Shop of the Jeweler and The Radiation of Fatherhood. The dominance of philosophical, especially ethical, issues concerning the relation between the subjectivity of Man and the Absolute. We cannot disregard the meaningful context: the drama and the theatre of Wojtyla came into existence in direct connection with his scientific-philosophical-artistic work. All of these planes of activity of the writer-philosopher shed light on one another. In numerous monographs and treatises, Professor Wojtyla presented issues of faith, love and ethics. He also analyzed them from psychological, philosophical and theological perspectives. He dealt with widely understood Christian anthropology included in categories of phenomenology and neoThomism. It is possible to determine the object and essence of these examinations as “theology of the body” and as phenomena of the dignity of the individual. To illustrate the range of connections between Wojtyla’s theatre and his philosophy, it suffices to name only a few of the titles of his philosophical treatises: Love and the Responsibility (1960); The Personand the Act (1969), a monograph which directly corresponds to the drama The Radiation ofFatherhood; and a piece of writing especially devoted to “a theology of the body,” entitled Woman and Man He Created Them: A Theology of the Body. The last of these philosophical writings, Woman and Man He Created Them, was published in 1986. This was at a time when the writer and philosopher Karol Wojtyla already held the unusual position of the Pope. His popularity reached ever-widening circles. It went far beyond the artistic, philosophical and intellectual elites. John Paul II won for himself universal popularity as the Pope-pilgrim. With this book, he accomplished more than a hundred missionary’s trips to countries on every continent. He was a wonderful speaker. At stadiums, squares and in the open air, he propagated his papal homilies and sciences, and had perfect control over enormous crowds. His was a great and charismatic personality. In his use of the Papal voice, in his phrasing and melodic patterns, in the art of capturing spectators and listeners, his former acting experience still makes itself felt. John Paul II became an indefatigable promoter of ecumenism. Perhaps the universal respect he enjoyed activated this. With the believers of Allah he prayed in mosques, with Jews in synagogues; he prayed collective prayers with priests of still other religions and faiths. After the death of John Paul II, a popular honorific became attached to his name with increasing frequency: John Paul the Great. Let us come back to our main topic of Karol Wojtyla‘s dramas, and specifically to their place in the theatre. The works became internationally celebrated almost immediately when their author was nominated as Pope. An international theatrical debut took place in London in 1979, with the premiere ofIn Front of the Shop of the Jeweler. The following year it debuted in Kraków, Poland, the city where Wojtyla, in days of yore, had been an actor, priest and archbishop. The premiere of Brother of Our God, directed by Krystyna Skuszanka, made an exquisitely forceful impact throughout Poland and was widely discussed abroad. Between 1981 and 2010, all five of Wojtyla‘s dramas were staged numerous times in Poland, and by important directors such as Andrzej Wajda. But the patriotic admiration of Wojtyla’s countrymen was not the sole reason behind the decisions to stage them, and this becomes obvious when one looks at the other countries where Wojtyla’s plays were being seen—for example, Great Britain, Italy and the Ukraine. Soon these dramas stopped being in the domain only of the theatre: The Radiation of Fatherhood was adapted for television, and versions of Wojtyla‘s dramas and poetry were also made for radio. Brother of Our Godwas even made into an opera libretto in Italy. In fact, Karol Wojtyla‘s plays also became the basis for screenplays. In 1988, in a German-Canadian-Italian production, Michael Anderson directed In Front of the Shop of the Jeweler with such stars as Burt Lancaster (The Jeweler) and Daniel Olbrychski (The Father). In 1997, Krzysztof Zanussi directed a German-Italian-Polish production of Brother of Our God, in which Scott Wilson played the role of Brother Albert. Would the plays of Karol Wojtyla have achieved such an international success if their author had not been known to the world as Pope John Paul II? Probably not. Nevertheless, Wojtyla brought unusual color to the contemporary theatre, namely drama with forms that announce their philosophical discourse, in which the dialogue and monologues and, above all else, internal dilemmas exemplify existential issues located in metaphysical categories. These are at the same time dramas and theatre, in which the crucial element is the word; it is simultaneously a theatre which reaches towards it own forefathers and sources, to the hieratic rhapsody and the ceremony. 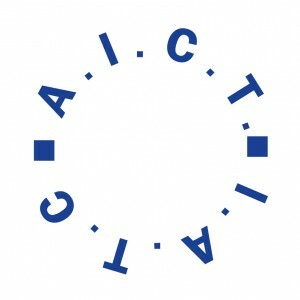 The aesthetic uniqueness of this theatre of the word, of rhapsody, mystery, and issues of love and existence take hold in a unique way—as philosophical-religious works they enter the living bloodstream of the contemporary theatre; and more widely, into the artistic and intellectual landscape of international culture. Born in 1944, expert in theatrical matters, essayist and theatre critic, Prof. PhD. Żurowski is lecturing at the Theatre Department (part of Polish Studies Institute) at the Pomeranian University in Słupsk, Poland. Compare: Karol Wojtyła, Poezje i dramaty, Kraków 1979. Compare: Krzysztof Dybciak, Karol Wojtyła a literatura, Tarnów 1991. Compare: Karol Wojtyla, Questio de fide apud sanctum Ioannem a Cruce, “Collectanea Theologica” [Vatican] XXI: 1950. Compare: Mieczysław Kotlarczyk, Karol Wojtyła, O Teatrze Rapsodycznym, ed. by Jacek Popiel, Kraków 2002; Jacek Popiel, Los artysty w czasach zniewolenia. Teatr Rapsodyczny 1941-1967, Kraków 2006. Compare: Abba Pater, Audio CV, Vatican 1999. 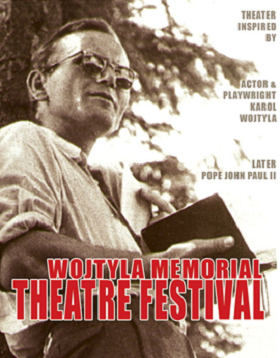 Wojtyla’s plays compare in: Karol Wojtyła, Poezje i dramaty, Kraków 1979; as well in many translations. Compare: Karol Wojtyła, Miłość i odpowiedzialność, Lublin 1960. Compare: Karol Wojtyła, Osoba i czyn, Kraków 1969; English version: Karol Wojtyla, Person and Community, trans. by Theresa Sandok, New York 1993. Compare: John Paul II/Karol Wojtyla, Mężczyzną i niewiastą stworzył ich. Odkupienie ciała a sakramentalność małżeństwa, Vatican 1986. Bolesław Taborski, Karola Wojtyły dramaturgia wnętrza, Lublin 1989.